NorthAmericanTerminals.com works with multiple carriers to offer you different shipping options to suit your unique needs. Although FedEx is our preferred carrier, merchants may also choose UPS. Ground Delivery: 4-6 business days from order date. 3-day Service: 3-4 business from order date. 2-day Air: 2-3 business days from order date. Overnight Delivery: Normally 1 day if the order is placed before 3pm Eastern Standard Time. Your privacy is our priority. As a result, North American Terminals adheres to strict requirements regarding how we treat your personal information. We use Secure Sockets Layer (SSL) technology with 128-bit encryption. If your web browser supports SSL (most current web browsers do), it will automatically encrypt the information you provide to us on the secure pages on our website, before sending it over the Internet. At North American Terminals, our goal is to give our customers complete satisfaction. If, for whatever reason, you are dissatisfied with your purchase, you can return it to North American Terminals within 21 days of the receipt of your purchase. 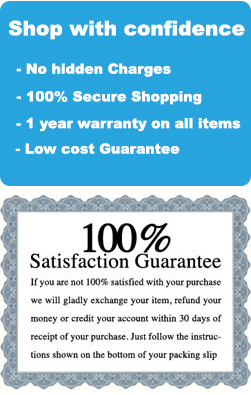 All Credit Card Machines, POS Systems products, including clearance carry a one-year Warranty. From there, our customers have the option of exchanging their item(s) or receiving a refund for the full amount of the original purchase price. Refunds on returned items will be issued in the same payment form as tendered at the time of purchase. If the payment was made by credit card, once we receive the product we will credit your account. Please allow 7-10 business days for a credit to appear on your statement. If payment was made by check, the refund check will be issued after 10 business days. How can I place a product order or apply for a merchant account? Order online, using our secure checkout form, 24 hours a day, seven days a week, using your credit card, our Bill Me Later® payment option, or your checking account. Call us, toll-free, at 1-888-483-5110, from 10 am -7pm, Eastern Standard Time using your credit card, our Bill Me Later® payment option. We also offer the ability to pay via checking account and our convenient Bill Me Later® option. If an item is temporarily out of stock, you will be notified by phone or e-mail as soon as possible. Please wait 1-2 business days from the date of order before calling 1-888-483-5110 for order status or to retrieve a tracking number online. To make any changes to your order after it has been processed, call our customer service department at 1-888-483-5110.